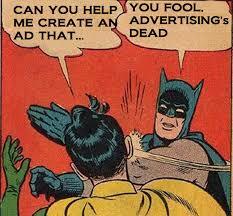 Is advertising dead or does it just have a bad headache? Peppercomm’s creative director, Matt Lester, debates the firm’s CEO, Steve Cody, on what Cody calls “advertising’s increasing irrelevance and reliance on pure hype” to break through the clutter. interest as yours and my users would definitely benefit from a lot of the information you present here.